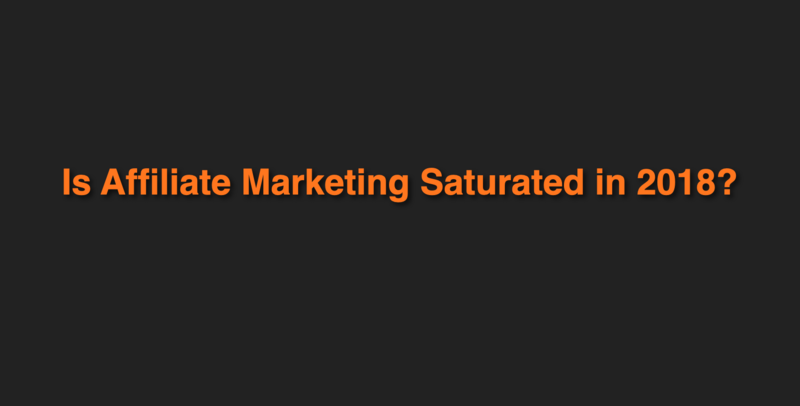 Is Affiliate Marketing Saturated in 2018? This questions gets asked so often that I decided to write an article and share some of my thoughts on this. The question is really very interesting and gets asked by those who are just planning to start their affiliate marketing business. Like anyone who wants to start a business they want to know if there is competition in the business or is any any room for them to make money? Of course, asking such a question is very normal. No one wants to waste their time. Everyone wants to make money and build a successful affiliate marketing business. Competition is also very normal thing in any field. I believe you can hardly find a field that has no competition. If there is no competition there is no money. If there is a competition there is money to be made. Some people think affiliate marketing is saturated and you can’t make money. I believe affiliate marketing is not saturated and there is a room for everyone. Let’s do some research, analysis to find out is affiliate marketing really saturated and if yes how can we compete with other affiliate marketers and make money. First of all, affiliate marketing includes various fields that you can choose and build your successful affiliate marketing business. It can be travel business, finance, sports, teaching, tutorship, computers, electronics etc. You choose what you want. When you choose a direction, better known as niche you don’t have to worry much about competition. Because whatever you choose there will always be a competition. If your niche is competitive it means you can make money in this niche. There are a lot of opportunities in your niche. There are still some untapped niches that have very little competition and good income opportunity but such niches are very few. It’s very difficult to find such a niche. Most niches are already taken. You need to do a lot of research to find untapped niche. Most likely your chosen niche is already taken and you will have to face some competition. If competition is not so high it will be easier for you to dominate your niche and make money. Anyway, before choosing a niche you need to do an in–depth research to see how strong is the competition. The more competition the harder will be your affiliate journey. You will need to do a lot of keyword research to understand income and traffic potential in your niche. Keyword research will be your main task as an affiliate marketer. You must do this kind of research because this will allow you to understand how much effort is required from you to dominate your chosen niche and profit from it. For example, if there are too many authority sites in your niche and you feel you can’t compete with them then you better choose a different direction. By ”can’t compete” I mean your inability to provide value to your readers. Because your ability depends on your level of knowledge and expertise in your niche. If you have no knowledge you won’t be able to help your website visitors. That’s why you need to think well before picking a niche. Almost all niches have many programs, products to promote. Not all products within one niche have equal competition. Some products have a high competition while others are less competitive. You can focus on those that have less competition until you gain some authority in your chosen niche. Then once you gain some authority you can pick competitive products too. Long story short, you don’t have to worry much about competition or saturation in affiliate marketing. Affiliate marketing field is huge. Anyone can achieve success provided they do what is required from them as affiliate marketers. How to dominate in any niche? Now let’s see how you can become a successful affiliate marketer despite of competition and saturation. First of all, as I said above, in my opinion, no niche is over saturated. There is always a room for others. The difference is in the effort required from you. If your chosen niche is not too competitive it means you can make less money and it requires less effort. If your niche is highly competitive it means you can make a lot of money. But it also means it takes more effort and more time. Competitive niches have a lot of potential in terms of growth and income. Competitive niches take more time and require more patience. You may be working for months without seeing any positive results of your efforts. If you are not prepared to work really hard then you better choose less competitive niche. In order to dominate competitive niche you need to be able to create quality content and provide value to people. This is the only way you can get your share of profit in a competitive niche. 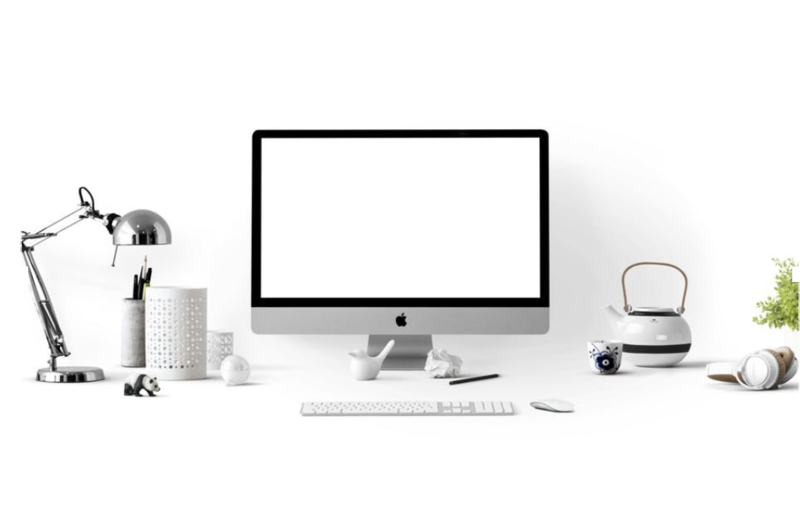 If you can create quality content you can get your website ranked in top 10 which means you will be able to outrank other sites and get traffic to your affiliate business. Proper SEO will lay down a strong foundation for your business and will allow you to get steady traffic for years. If you want to dominate a competitive niche you must be more hard working and consistent than your competitors or at least work as hard as they work to get your share of the market. 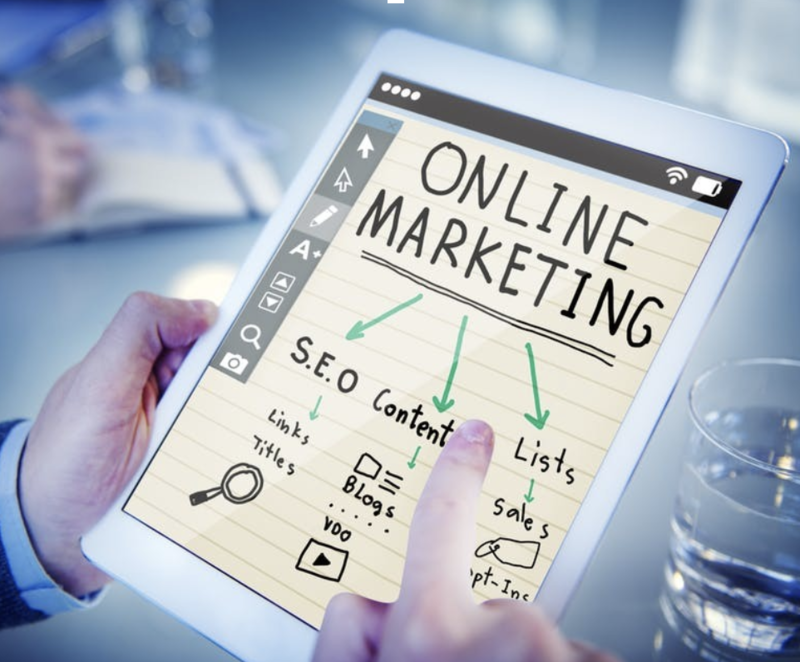 Also keep in mind that most people that choose affiliate marketing don’t want to work hard and very often quit after 2,3 months of starting online. You can take advantage of this weakness and take their place. If you have right expectations it means you are already ahead of your competitors. You will have more opportunities for growing your affiliate business. You can also build the list of your email subscribers and get more conversions. More conversions means more sales. Getting traffic is one thing but getting more conversions is another skill. If you can learn this skill you no longer need to worry about your competition or over saturation in your niche. This skill will allow you to dominate any niche even most competitive one. Another skill that will allow you to dominate even in a competitive niche is being more creative. For this you need again to do a lot of research of your niche and think what new you can bring to people. If you can do it, competition or saturation will not be a big problem for you. It’s not easy but it’s absolutely possible. You can also disregard competition or over saturation if you can provide better support than your competitors. Your main value is how helpful you are to your audience. People will appreciate it. From my experience I can tell companies that provide quality support always do very well with their business. Generally speaking “No”, it’s not saturated. In fact, many people are making money in affiliate marketing. But the percentage of those who don’t is way higher. Because most people don’t want to work hard. They are ready to work for others because they get paid for their work. When it comes to working for yourself most people are not prepared for that. They want money right now. This is wrong thinking. 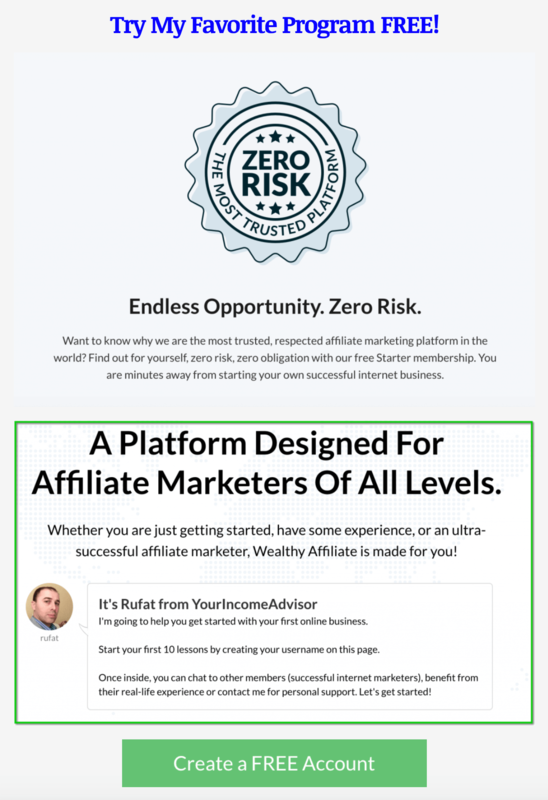 There are a lot of opportunities in affiliate marketing and if you approach it the right way you don’t need to worry about competition or affiliate marketing being saturated. You will dominate any niche if you want. Even if you can’t earn 5 or 6 figure income you still can earn 4 figure income which is pretty good.